The Jumbo Jet was a steel roller coaster at Morey’s Piers on Morey’s Surfside pier (North Wildwood). In 1975, the Morey brothers traveled to Germany and purchased the Jumbo Jet for $400,000. Morey’s Surfside Pier had to be extended a total of 250 feet (76 m) to make room for the Jumbo Jet. 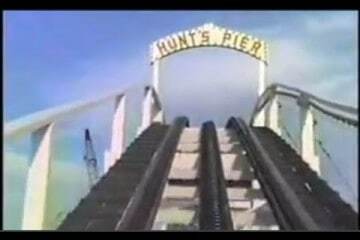 Despite the expense, however, Jumbo Jet became one of the most popular roller coasters on the Jersey Shore, and was credited for increasing attendance at Morey’s Piers. It was the second and final Jet Star 3 / Jumbo Jet model coaster to be built in the state of New Jersey. The Jumbo Jet was sold in 1987 to a German broker. The broker eventually traded the coaster to Gorky Park in Moscow for two railroad cars of ketchup. as the ruble was not a widely accepted currency outside of the Soviet Union at the time. 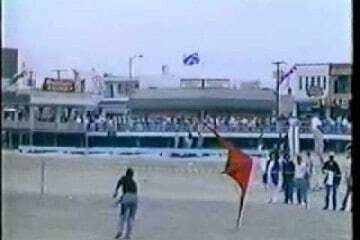 Below is a retro video of what the Jumbo Jet looked like on Morey’s Surfside Pier.